An artist who found success with his "Alter Ego" in September 2018, Andre Sobota once again demonstrated his sizeable talent on Proton Music. Returning to the EP, "Held Over" now receives Particles remixes from the UK and Russia with a timely reminder of the original. Entering a brave new world where his music "traverses a genreless music landscape", David Ridley has carved out a sizeable niche with a production style that combines ambient and electronica with progressive and deep house. Add a dash of techno and the whole gamut of underground dance music is represented within a unique approach to his craft under the We Are All Astronauts soubriquet. Forming a close relationship with Mango Alley, We Are All Astronauts has been a regular on the monthly Frisky Radio "Alleys Show". Ridley's work for Mango's label has been no less impressive with a score of production credits stretching over a five-year period that has seen a number of collaborations with Seawaves and a standout solo offering in "Cerulean Sky". Silk Music, Klangwelt and Visceral have also played host to the We Are All Astronauts sound while a pair of remixes for Lanvary in October 2016 and Sed Project in December 2017 saw impressive contributions for Particles. Now returning to remix "Held Over", sumptuous melodies with their roots firmly in Sobota's original, blossom into new and vibrant directions. A harmonically rich bassline pulsates gently in rasping, open filtered dynamism while shimmering arpeggios glisten across the mid-range with growing intensity as the track evolves. A rolling groove and driving beat add further to a magical new interpretation. An advocate of "true progressive house" represented by John Digweed's Global Underground albums at the turn of the millennium, Anton Vishniakov has continued to chart his own successful path under the Rise and Fall moniker. A 2013 debut for Monster Deep quickly established him with support from Hernan Cattaneo, Max Graham, and Jerome Isma-Ae, while a double century of credits saw a reputation grow with almost half found on the renowned Bonzai Progressive. JOOF, Temporum and Clepsydra have also played a role in championing the Rise and Fall sound. Moreover, a clutch of releases for Particles saw appearances on the "Winter 2014" and "Fall 2016" compilations and "The Vision" and "Traffic Lights" turned in to full releases of their own. A trio of remixes for heavyweights Biologik, Derek Howell and Michael A has showcased a different skill set and it is pleasure to welcome back Rise and Fall with a driving dancefloor destroyer that is full of dark menace. Backed by a framework of heavy beat and high-energy off-beat percussion a seismic bassline rumbles across the low-end. Countered by textured pads a free-flowing lead line that makes its presence felt at the breakdown, the track explodes into the third movement with a glorious array of pulsating rhythm and melody that provides a new and unique spin on Sobota's track. 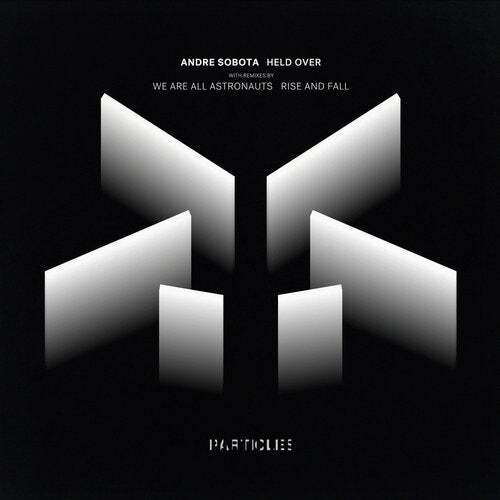 Remixes from We Are All Astronauts and Rise and Fall have "Held Over" Andre Sobota's music in stunning new detail.